The UK supermarket has disclosed an approach for underperforming Home Retail Group. 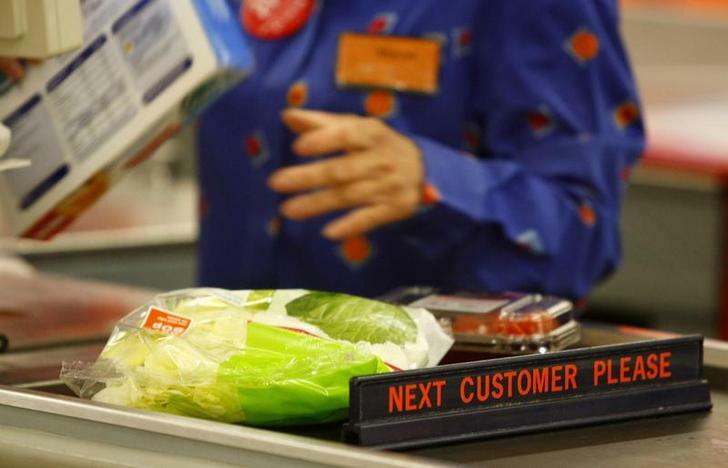 At around 1.1 bln stg it might prove a bargain acquisition, and Sainsbury’s grocery business faces acute price pressure. But homewares and electricals could just add trolley-loads of risk. A worker scans items at the checkout at a branch of British supermarket Sainsbury's in Manchester. Shares in Home Retail Group rose 37.5 percent to 135.5 pence by 1440 GMT on Jan. 5. Sainsbury’s shares fell 3.3 percent by the same time. Sainsbury said the approach was made in November and was rejected by Home Retail. However, the grocer added that it is considering its position.